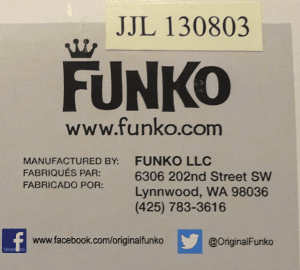 Everyone has heard the horror story of an unfortunate trade or transaction resulting in a someone receiving a fake Funko Pop! Some even purposely test their luck purchasing ridiculously low priced vaulted or exclusive items to finish a collection. Whether it’s by choice or horrible misfortune, we all run the risk of becoming the victim of receiving a counterfeit Pop! 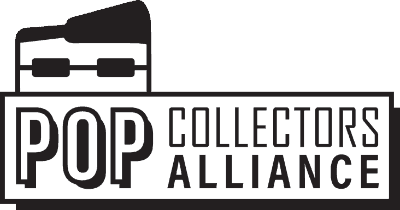 The Pop Collectors Alliance has compiled a list of tips and images to help verify the authenticity of a Pop! Always remember when in doubt PHONE A FRIEND! When using eBay to hunt for Pop! 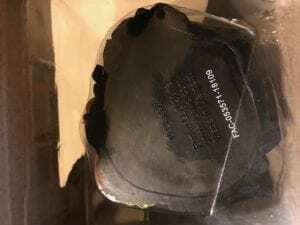 always try and avoid items that are shipped from China. This is tempting because they often discount hard to find vaulted or exclusive items. Also, review their customer feedback and ratings when available. Most companies sending out fakes generally have feedback reflecting so, this also applies to individuals selling Pop on Facebook, eBay, Offer up, etc. Most Facebook groups have a dedicated post for submitting feedback and it doesn’t take long for someone to be removed or banned if they are sending out fake items. Finally, if you stumble upon an amazing deal on a small businesses website be sure to check out their customer reviews on Google, their website or the Better Business Bureau’s website. Avoid Stock Photos – mainly a reference to eBay and Facebook, but unfortunately, some businesses aren’t always above this practice either. If not included, request images of all sides of the box. This not only validates condition but helps with verification of authenticity. Numbers are different depending on licenses and manufacturer but will always include the year and item number produced. Also note, some numbers are pressed opposed to printed but will always be located on the bottom of the box. Ensure the Pop matches the artwork on the box. 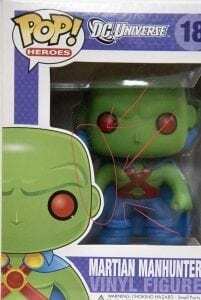 In this example, the authentic Martian Manhunter has a thin white border around his image while the fake has a noticeably wider outline and the image is much darker. 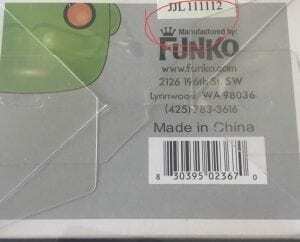 The item number is also featured on the bottom of the box. Look at the fonts and logos on the box. 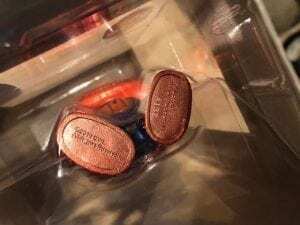 Counterfeits can often contain different fonts on used on UPC codes or other text on the box. When producing fake Pop! 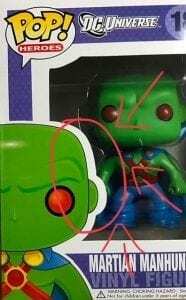 forgers often forget details such as logos or what line of Pop! it is. 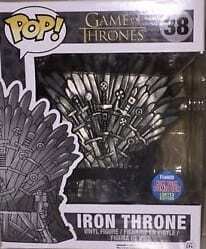 As pictured with the Game of Thrones: Iron Throne Pop! 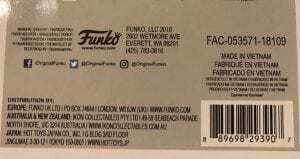 : The fake is missing both the Funko Line title and the Funko logo on the Convention Exclusive sticker. Lack of detail is always a clear indicator someone is trying to pass an item off as authentic, although some can be very convincing. 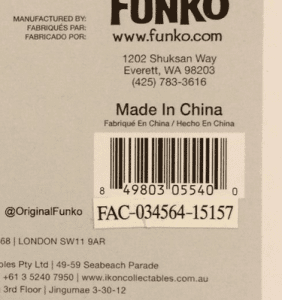 Verify there is an item number stamped on the feet and a Funko LLC logo somewhere on the Pop! This could be on the items head below the chin or rear skull, but primarily is found on the foot with a corresponding item number stamp. Newer Pop! 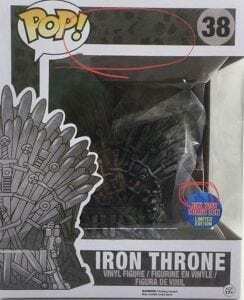 will feature the same item number as the bottom of the box, while older Pop! had a smaller number associated with each item. Also, check the feet for unfinished paint. This could indicate a fake, but remember older Pop! didn’t have the greatest paint jobs. Always Remember When in doubt Phone a Friend. Use Facebook groups to post, attach images and ask a crowd. In most cases, someone will own the Pop! you are inquiring about and assist. Use Reddit or the Funko Funatic boards. Tons of collectors are always willing to assist.